While civil engineering is an ancient concept (that's where Roman aqueducts and Egyptian pyramids came from! ), it couldn't be more relevant today. 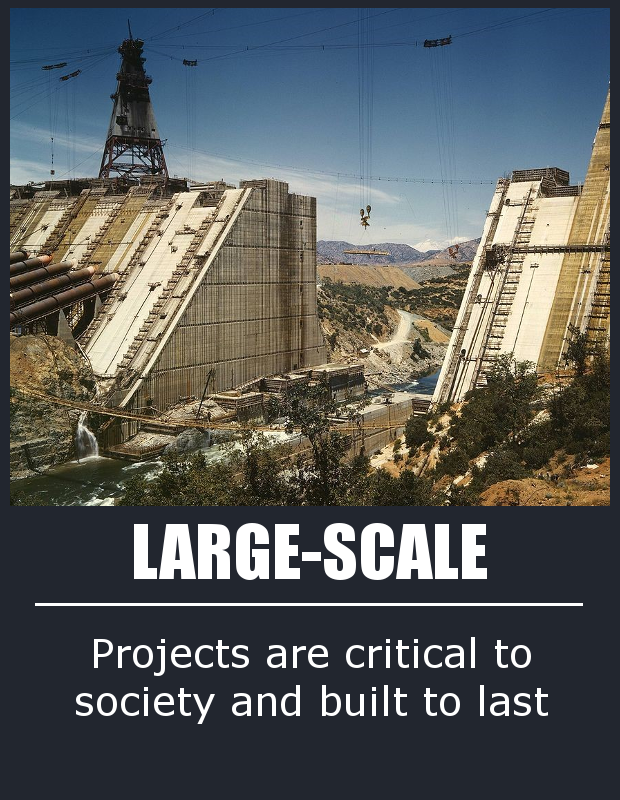 With America's aging infrastructure and countries across the globe in need of safe transportation, innovative structures, and access to clean water, civil engineering is a bridge to the future. The concentration in Civil Engineering at LeTourneau University involves a curriculum of 130 semester hours and is one of six concentrations within our Bachelor of Science in Engineering program. 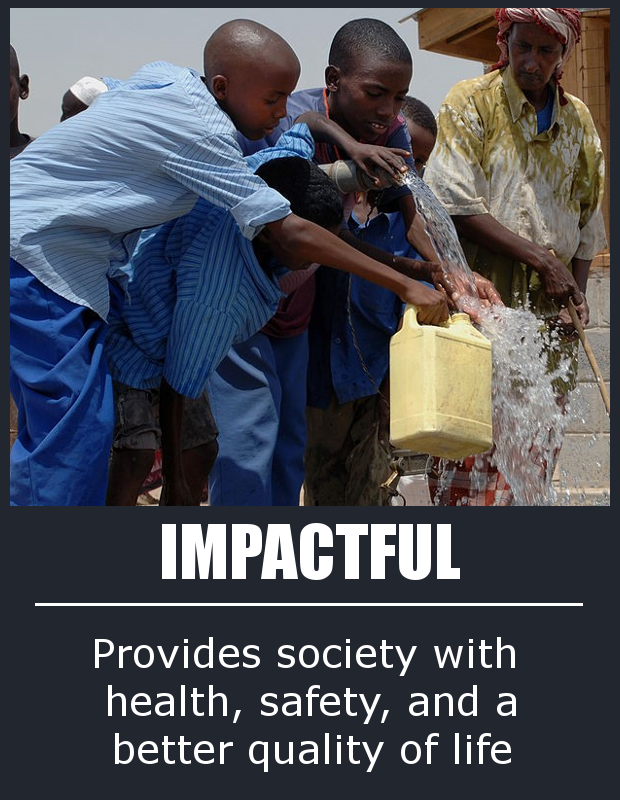 This concentration emphasizes structural engineering and water resources engineering. However, all of our graduates gain a broad enough education to allow them to branch out and pursue other areas of civil engineering as well. The BSE degree, including the concentration in civil engineering, is accredited by the Engineering Accreditation Commission of ABET, https://www.abet.org. The Bachelor of Science in Civil Engineering is a new degree at LeTourneau University involving a curriculum of 128 semester hours. This new degree offers students greater flexibility in their choice of courses and better alignment with curriculum recommendations from the American Society of Civil Engineers. Students can choose between a general civil engineering degree, a focus in structural engineering, a focus in water resources engineering, or a new concentration in environmental engineering. The Bachelor of Science in Civil Engineering, including the concentration in Environmental Engineering, is a new program and will be seeking ABET accreditation following the first graduating class of BSCE students in 2021. Contact the civil engineering department for more information about this new program. 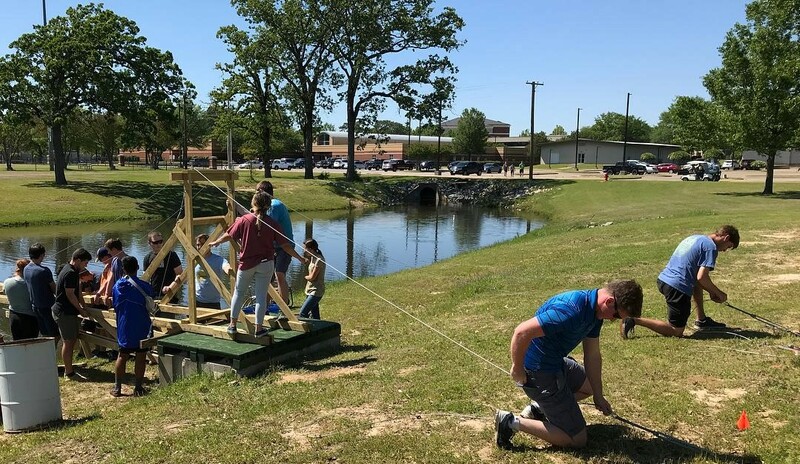 Cantilever bridge design project - Freshman students worked in teams of four to build 20-ft bridges out of wood and steel cables, then tested their strength by loading them with up to 1500 lbs. Concrete mix design project - Sophomore students work in pairs to follow national design standards to develop a concrete mix to specifications, then produce and test concrete cylinders and beams to evaluate their designs. 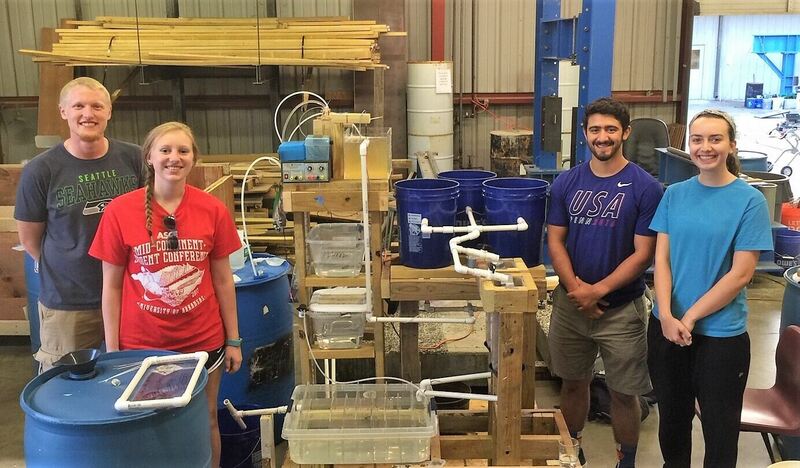 Water treatment project - Junior students work in small groups to design, build, and test a water treatment system capable of autonomously treating 50 gallons of river water to produce drinkable water. Senior design project - All senior engineering students spend two semesters working on a capstone engineering design project. Recent civil engineering projects have included the hydraulic design of a recreational lazy river, development of a 3D-printing concrete tool, and participation in a disaster relief shelter design competition. Find out more about our senior design projects at LeTourneau University! Your choice of many elective courses - steel design, concrete design, wood design, groundwater hydrology, surface water hydrology, water and wastewater design, transportation engineering, construction engineering, introduction to surveying, and more! Find out about some of the other opportunities you will have as a civil engineering student at LeTourneau University! 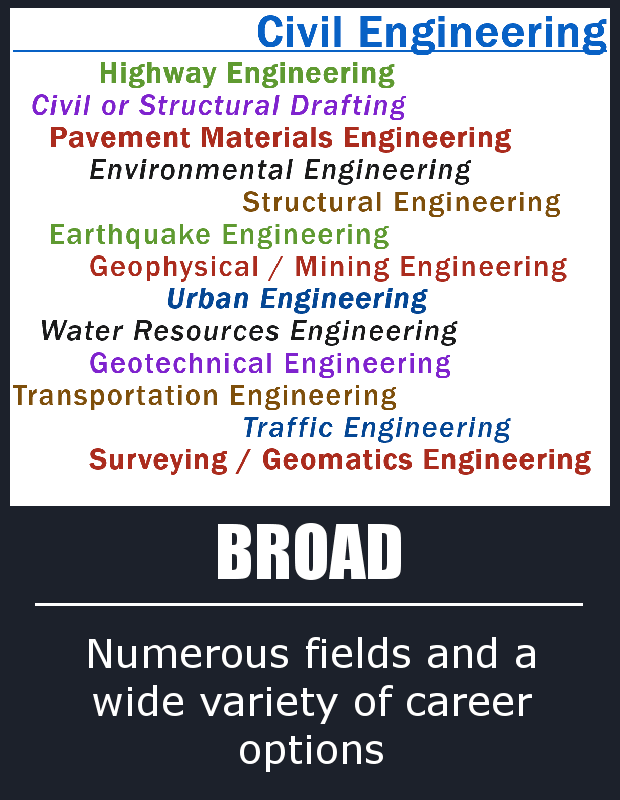 Some students desire to specialize in one or more fields of civil engineering and choose to attend graduate school after the completion of their undergraduate degree. To find out more about the jobs and graduate schools our students have gone to, check out the LeTourneau University Career Advantage. Connect with Civil and Environmental Engineering!